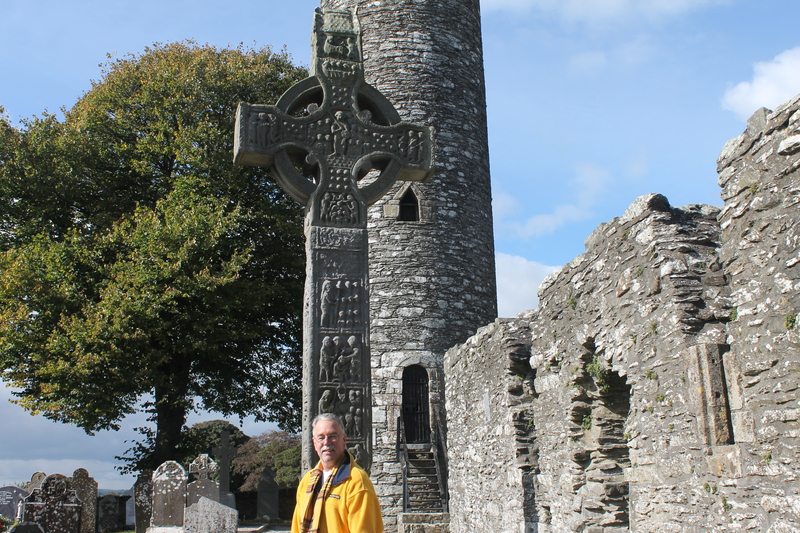 Last week, I took a tour to some of the more mythical and historical locations of Ireland, including a visit to Newgrange, Monasterboice, the Hill of Slane and the Hill of Tara. A student of both history and a mythology, I love trips such as this one, the kind that allow the imagination to run wild and, perhaps, offer a glimpse into the beliefs and dreams of days long ago. 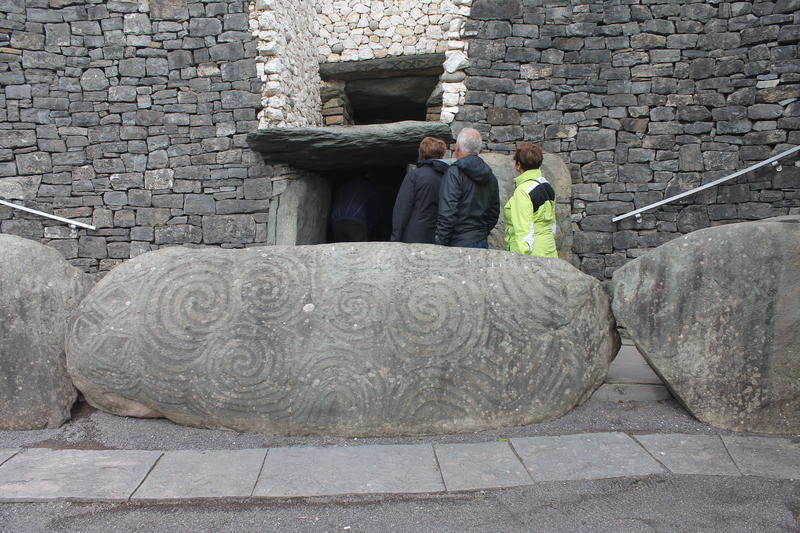 To begin, Newgrange, is an ancient structure built nearly 5,500 years ago by the Sun Druids. There are multiple theories on what the structure, and several smaller ones surrounding it, was actually used for. The most popular theory seems to be that the structure was either used as a place for religious ceremony or as a burial chamber for leaders of the ancient communities. The structure itself involves a cave-like entrance were those wishing go inside must both duck down and turn sideways in order to enter. You almost crawl through several feet of this before the tunnel again expands, allowing a small group of people to gather within. It consists of several small chambers with decorative stones in the shapes of spirals and other such carvings which have survived thousands of years on the surface of the ancient stones. However, the most spectacular aspect of Newgrange is that, once a year on the Winter Solstice, the sun aligns perfectly to allow a small stream of sunlight to enter and light the chamber. This event lasts for approximately seventeen minutes. The chance to see this event in person is highly competitive, and selection is from a lottery draw which is held once a year. For those not chosen though, a presentation is given to tour groups using alternative means of light, giving viewers an idea of what it would look like when lit by the sun. 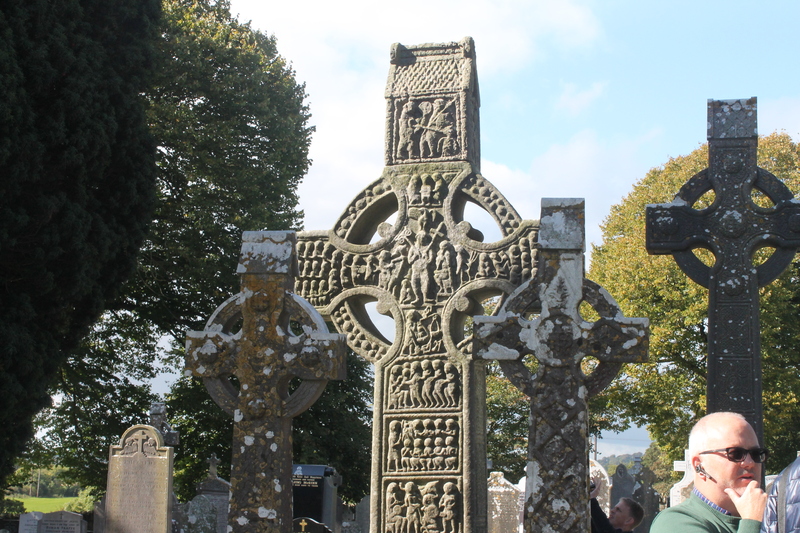 The second stop was Monasterboice, where we visited a cemetery which hosts some of the most magnificent and oldest Celtic crosses in the country. It was really amazing to see. Our third trip was the Hill of Slane at the top of which, holds a series of ruins. 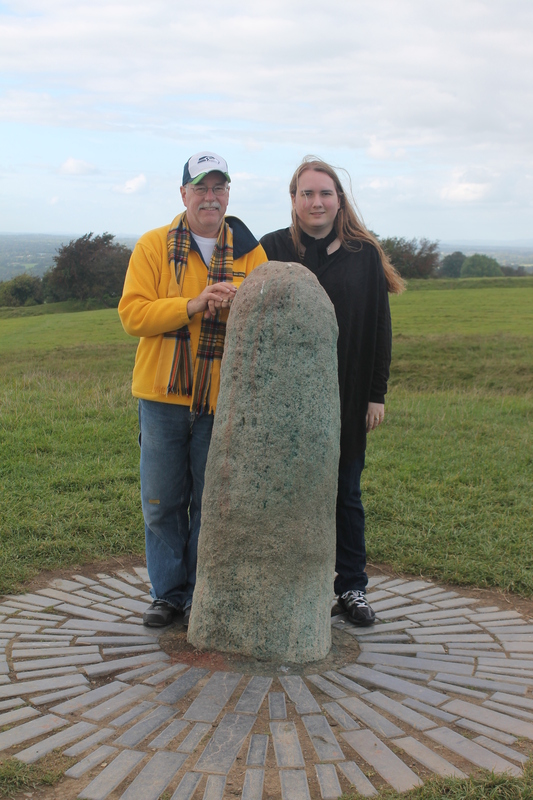 Our last stop was the Hill of Tara, which is the home to the Stone of Destiny. 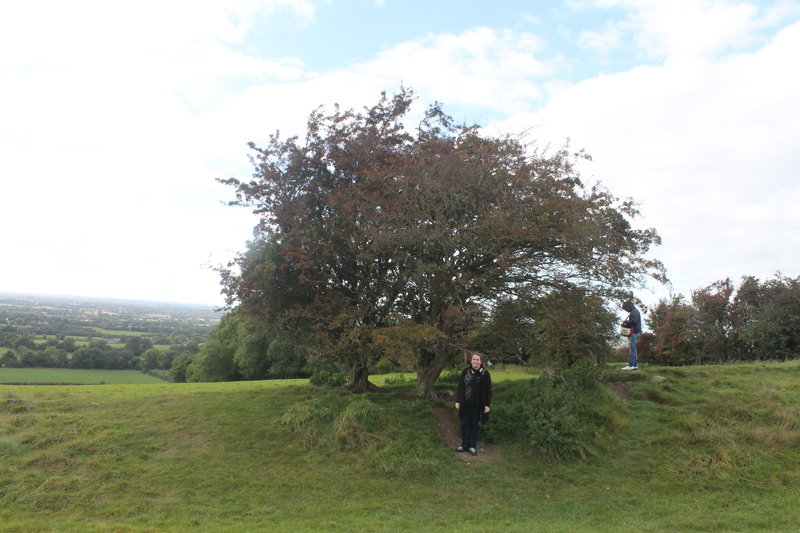 Tara is also home to what are known as fairy trees. In myth, these tress were known as the border between the realm of the mortal and that of the Sidhe (Fae) from myth. Traditionally, people would come to these trees and leave a small gift (generally a piece of cloth or other small item) of a personal nature to ask favour of the Sidhe. Cutting down these trees was seen as very bad luck and in many places, is still avoided whenever possible. Overall, it was a great trip, which I would highly recommend! Six-Hundred years ago, the Muir Court was wiped from existence, destroyed by an elite group known as the Black Rose Guard. Their Captain, Mara, has a reputation of being a harsh woman who leads the Black Rose with a fierce formality. During her long years, she has known pain, loss, heartache…and one great love. 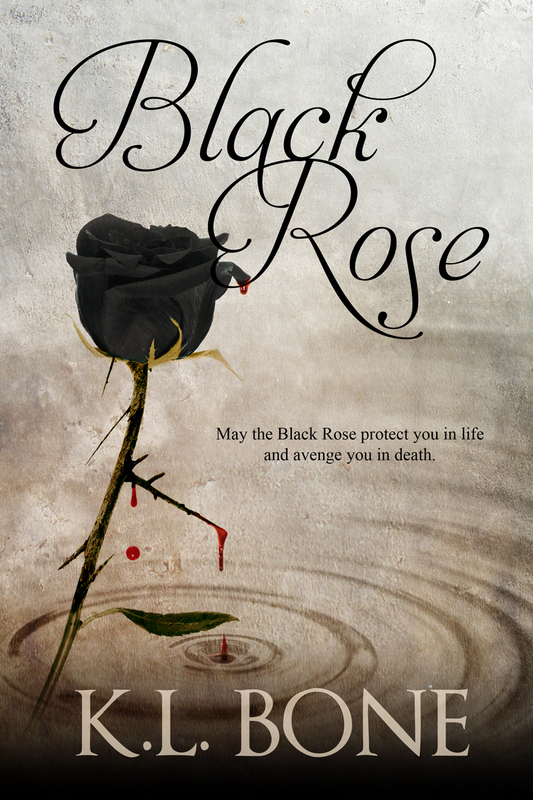 Tormented by a fate they can neither accept nor escape, Black Rose is a tale of retribution, love, and above all, honour – at any cost.